Google is getting serious about e-commerce and hence any e-commerce Product Manager should get serious about Google. I recently read the Google Commerce blog and came across this news: Connecting shoppers and great stores online. Google’s annual revenue of $38 billion in 2011 came primarily from advertising. If you look at who are the biggest individual spenders on Adwords, the answer screams out loud- retailers and among them largely e-commerce merchants. Amazon.com supposedly spent about $55million and E-bay spent about $40 million. Lowes and Home Depot combined spent about $100 million although it could be for driving some traffic to their stores too. In fact, among the top 10 industries that spend heavily on Adwords and hence contribute significantly to Google’s revenue, most are in the e-commerce and related online transaction businesses. This makes the relevance of Google’s new move called the “Trusted Store” badge very significant. Google is trying to expand the pie here by making sure that any e-commerce business struggling to make any entry in the competitive marketplace (the US market in this case) is able to gain prominence in Google search (and outside) by getting a “coveted” trust badge. This is probably a strategy aimed at two things. One- help an e-commerce player struggling to gain prominence in the highly competitive e-commerce market by getting a little nudge from Google through the trust badge. Two- get e-commerce players spending actively on adwords but getting poor ROI turn things around by getting some additional FREE help from Google to gain acceptance (trust) from customers, thereby boosting sales through better conversion. While the first objective is not that noteworthy in a mature market like the US (where this program is active), the latter objective seems more relevant. Why not make Google search more useful for the advertisers who tend to spend the most on its ad platform? if things works, they will spend more on Google, right! For an e-commerce advertiser, getting clicks on adwords impressions is only half the battle won, albeit a significant one. After that, it becomes the e-commerce merchants sole responsibility to hold on to that customer and make him complete a purchase. Bounce rates can be high if the customer does not find what they want in the first two or three navigation steps. The conversion rate is also poor if the website does not help in influencing a customer to purchase. For a large player like Amazon.com, getting a customer to their website is more than enough as customers trust their business and hence would convert high once they come to their website. A smaller e-commerce player on the other hand struggles in this area. Customers are wary of spending their hard earned money on a website that they are unable to completely trust. This is where Google steps in. They have determined that there are two areas that are most important in the mind of a potential customer looking to purchase from a website – reliable shipping and exceptional customer service. Google is taking a very serious approach by investing in a highly complicated mechanism required to generate the trust badge. Google is working very closely (in fact way too close) with the e-commerce merchant and its customers to understand how their business is performing when it comes to shipping and customer service. This is no trivial exercise and the efficacy of this program can only be measured over time. All this is coming at Google’s own expense. To top it all, they are making it more attractive for the potential customers by offering a $1000 lifetime purchase protection. The reason Google is possibly able to make this happen for free (with a good amount of cost for itself) is because it realizes the real battleground is in the Adwords space. The war for keywords and product listing in Google Shopping can only grow bigger if the players are equipped with the right tools to fight the battle. This is what the trust badge does. Can anyone replicate the trust badge and make Google’s presence irrelevant? The answer is a simple NO. 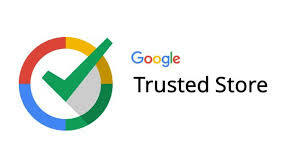 Google has made the trust badge program fairly complicated to execute to the point that it acts as an entry barrier to say a Norton verisign to equally compete on. Google also has the relevant customer base using its search service again acting as a huge competitive advantage against any other player trying to do something similar. Will customers buy in to the trust badge program of Google? This is the single biggest driver for the success of the program. Customers are no longer taking what Google is offering for granted. They understand that Google also makes money (at least for the sake of its investors) and hence whatever is done for free doesn’t necessarily mean that it is best for them. However, Google has tried to address this issue by making the program entirely free on both sides (advertisers don’t pay to get the trust badge) and also by making the ratings process very transparent (it shows a report card that explains how the score was achieved). So, what should Google do to make this program work or continue to grow? Continue keeping the program FREE. They cannot do a product listing ads u-turn by commercializing a free offer with a Google Shopping feature in the future. While a free lunch may sound shady, a free service to help a customer and a merchant benefit from each other sounds reasonable! Make Google trust badge a true and stringent test of QUALITY. Anyone and everyone running an e-commerce business shouldn’t get it easily. What is the difference between an A+ or a A or B+ or a B-? I don’t know if they have that many ratings but the one thing I hated about graduate school grades is that they are largely useless for making any big decision in life. I know that an A+ is a standout rating but what about all the others with an A? Google themselves don’t recruit people with less than exemplary grades in their company. As a customer, I can be very mean by ignoring a merchant whenever I see an A (irrespective of the trust badge showing up). Or, I could get confused when I read why someone has an A+ compared to an A. For e.g., 98% on-time shipping is an A whereas a 99% on-time shipping is an A+, but this is based on 1000 transactions with e-commerce company X! There are way too many data points for me to consider and make a judgement call on. What would bode well for Google and the customer is if the trust badge is a “hard-to-get” prize because the way to get it requires a lot of hard work for the merchant. Make Google trust badge a SIMPLE to understand seal. In the same lines as the previous point, the badge must be simple to understand. We should not make the customer work hard to understand the badge in a better manner and then make a decision on whether to go with the merchant or not. Google gains by doing it for the customer. Verisign’s trust seal is very simple. It just verifies and let’s a customer know that the business is a legitimate entity. For that, it has a verification process that goes into checking the credentials of the business. That’s it. There is nothing more to it. There is no grading and there are no levels to comprehend. While whether it is useful or not is a different question, simplicity is still important. Google can make their badge simple by not having many grades. It can have additional parameters under which an e-commerce player is evaluated, but getting the trust badge should just be a simple final outcome. The scoring methodology can be explained in a separate place, but the report card should have a final score so to speak. Add additional PARAMETERS to the trust badge. While reliability of shipping and customer experience are very great parameters for rating someone, there are more parameters that can be added to augment the trust factor. The biggest worry that customers have is around the post-purchase experience. Google can benefit the customer by looking at frequency of order cancellations initiated by the merchant, ease of returns, exchanges and refunds and quality of products shipped (damages, WYSIWYG). Finally, go INTERNATIONAL. Maybe Google’s product manager’s are all concentrated in Mountain View and their thought-leadership is largely centered around the US market. Hence the decision to maybe launch this program only in the US. But, a trusted stores program works wonders in the international market and may hardly make a big difference in the vastly mature US market. The international market (especially BRIC nations like India) is flooded with new, young and serious entrants seeking dominance in a very attractive market where TRUST is tremendously low. Bounce rates are high and conversions drop especially during checkout in a market like India. Each of these markets have internet consumers who know Google, love Google and believe what Google says and does. While there are several hundred e-commerce merchants in the US, the consumer market is very mature and they are not swayed by too many offerings around trust. Research may indicate otherwise, but research in the US always indicated that customers are worried about safety of payments on the internet, no matter how big the e-commerce industry and online payments is growing every year. Sometimes, we are better off not asking too many questions to the customers around safety and trust. The answers are always the same! Next PostNext What is a Payment Gateway?